Oh, boo hoo. So, you’re disappointed. Obama didn’t turn America into a liberal utopia, end all wars, stop global warming and turn nuclear waste into puppies. So, what, now you’re not going to vote? Doesn’t matter who gets elected President, they’re all the same? Might as well just let a republican in because how could it be worse? No. It can be much worse. 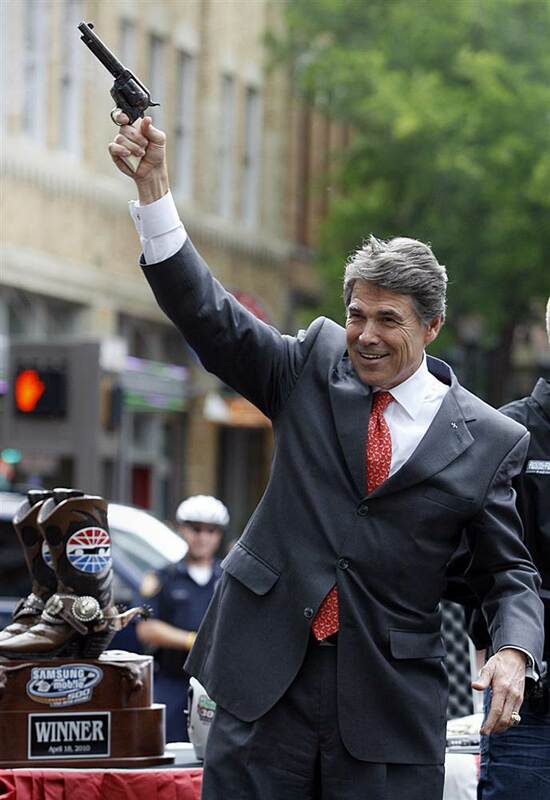 The current frontrunner in the preposterous freak show running for the republican nomination is Rick Perry. Rick Perry is worse. Rick Perry is MUCH worse. 1. Global Warming is a hoax. On the science behind the overwhelming global consensus that the earth’s climate is changing and that human activity is accelerating that change: “all one contrived phony mess that is falling apart under its own weight.” Never mind that 2010 was the warmest year since 1880, and New York City was recently evacuated due to hurricane threat. Meh, best response is just business as usual. 2. The Death Penalty is AWESOME. 235 Executions (and counting) in Texas under Rick Perry’s leadership. Rick Perry has been governor for 10 years. Total number of executions in the United States in the last 35 years is 1,266. The math: nearly 20% of all executions in the United States in the last 35 years have been under the direction of Rick Perry. There have been 273 post-conviction exonerations of inmates on death row. There are numerous cases of wrongful execution (where an individual who was put to death was later found to have been innocent). In last week’s republican debate, Brian Williams wondered if the idea of an innocent person being put to death might bother the Governor: “No, sir. I’ve never struggled with that at all.” That’s too bad…ask Rick Perry about Cameron Todd Willingham. Why such drastic measures? What could be so dire as to warrant the secession of a state from the Union? This was a response to Obama’s health care plan, which proposed horrific policy changes like preventing insurance companies from dropping patients due to pre-existing conditions and allowing kids to stay on their parents’ health plans for a few years more…oh, right, and killing everyone’s grandparents…how could I forget? 5. There’s nothing funnier than gun control. Rick Perry’s gun control policy? “Use both hands.” Heh…heh… In May, the Texas Senate approved a bill allowing concealed weapons on college campuses. That same day, another bill passed without debate to allow lawmakers to carry concealed weapons…ANYWHERE. Think Perry will veto these outrageous assaults on public safety? Would you, if you felt it necessary to carry a pistol while jogging? Tell me it doesn’t matter who sits in the Oval Office next year.